Your iPhone 6 is a beautiful device from every angle, and it is near enough impossible to use it without a case, therefore we teamed up with exclusive case retailer specialising in Apple Devices to keep your iPhone safe and looking beautiful. Whether you want something very protective, or very decorative, we picked through iPhone 6 and iPhone 6 Plus cases to find the best around. Delightfully beautiful, multi-impact bumper case to provide maximum protection while adding minimum bulk. 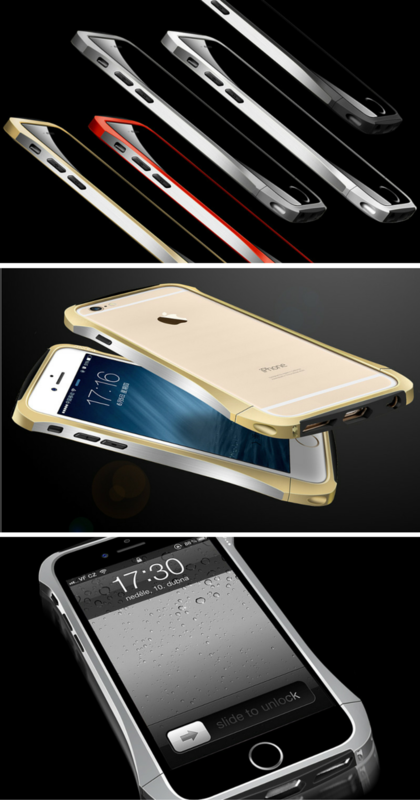 Double layers of sleek, military grade protection in a visually awe-inspiring iPhone 6 (4.7″) case. World class, hand polished and made from airplane grade aluminium with two side shock absorbing polycarbonate material. 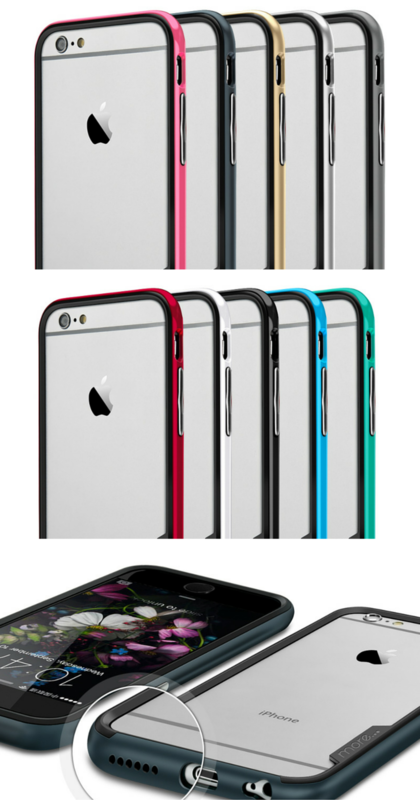 Signature curve line, with 2-tone combination of 5 metallic colours available for your iPhone 6 (4.7″). 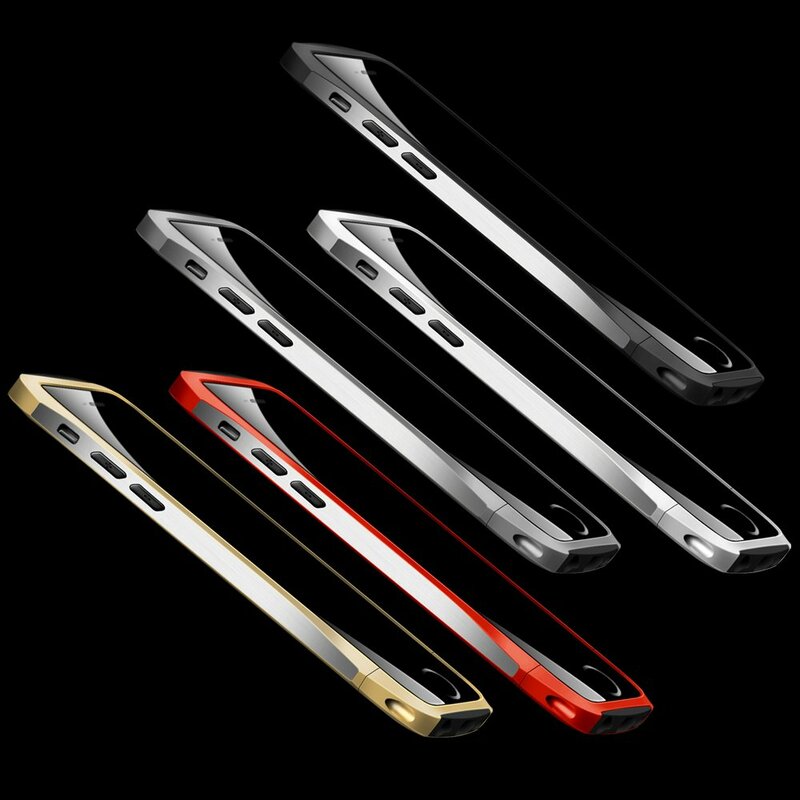 Proudly made and shaped from precision 5 axis CNC milled Aircraft grade Aluminium, ergonomically designed to dress your iPhone 6 without interfering with your iPhone 6’s signal like other traditional aluminium bumpers. Curve aluminium bumper features premium quality shock absorbing inner pads strengthened by outer polycarbonate pads located on the top and bottom of the curvaceous aluminium body. Precisely designed with a combination of protection and beauty with all necessary cut-outs for ports and features of your iPhone. 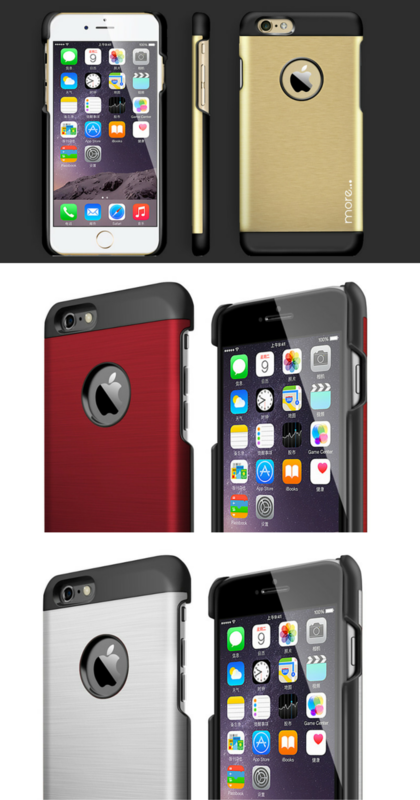 Remarkable design of Glaze Aluminium Series, lets you protect and cover your iPhone in style with an elegant combination of polycarbonate and brushed aluminium plate. Ultra-thin in shape, yet ultra strong against damages and drops. 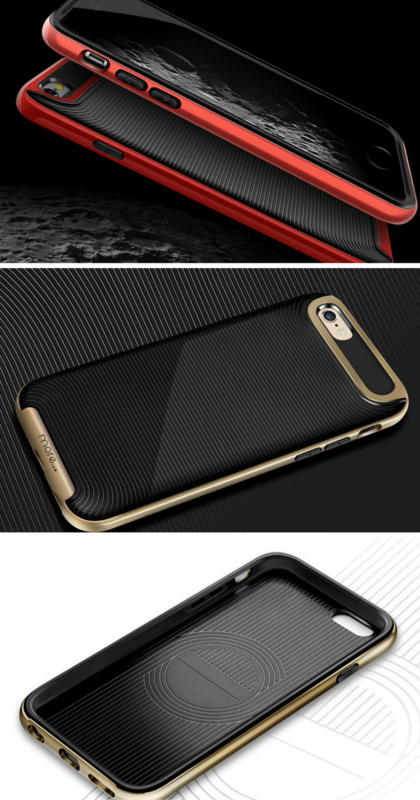 Elegant, low-profile protection in one sleek dual layer bumper case. Designed to impress, rounded to perfection with a choice of black and clear inner layers, and a generous selection of 10 personal colours.